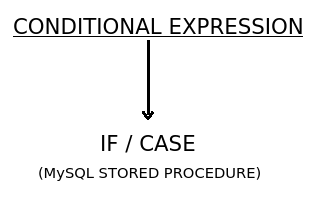 Sometimes there is need to use conditional expression inside stored procedure to control the flow of execution. We can use IF or CASE statements for this. Below is a stored procedure to check the performance of a student based on its score. At Open Query we steer clear of code development for clients. We sometimes advise on code, but as a company we don’t want to be in the programmer role. Naturally we do write scripts and other necessities to do our job. Assisting with an Open Source project, I encountered three old UDFs. User Defined Functions are native functions that are compiled and then loaded by the server similar to a plugin. As with plugins, compiling can be a pest as it requires some of the server MySQL header files and matching build switches to the server it’s going to be loaded in. Consequentially, binaries cannot be considered safely portable and that means that you don’t really want to have a project rely on UDFs as it can hinder adoption quite severely.